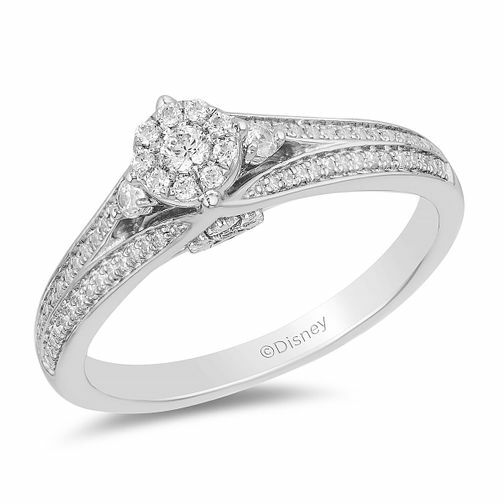 Inspired by the Frozen princess Elsa, this elegant Enchanted Disney Fine Jewelry ring boasts a dazzling display of diamonds. Crafted from stunning 9ct white gold, a round centrepiece is complimented by a heavenly set stone halo, and sparkling split shoulders. The gallery takes Frozen inspiration, with an intricately cut-out snowflake and diamond centre. The total diamond weight of this ring is 0.33ct.